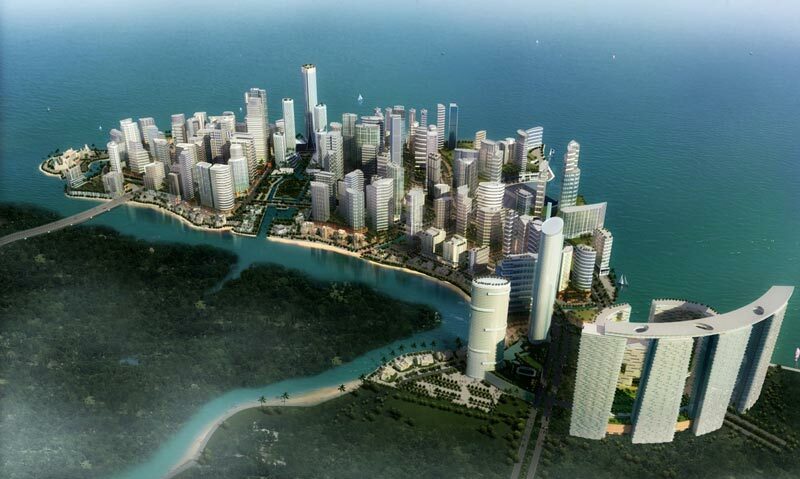 The Pearl Island also known as Al Reem Island is residential, a commercial project to be built on the natural island which is located 600 meters off the northeastern coast of Abu Dhabi. It is connected to Abu Dhabi by bridges. The dimension of the project is 6.5 million square meters with investment costs exceeding $30 billion. Al Reem Island is currently developed by Sorouh Real Estate (Shams Abu Dhabi), Reem Investments, and Tamouh separately. The project got international attention as first leasehold property offerings for foreign nationals. It has important amenities like schools, medical facilities, shopping centers, restaurants spas, beaches, and gardens. Third party facility management company Bunya oversee development of the island. It also ensures that the construction and development meet high standards of construction. In coming time the development expects to accommodate 200,000 people. Property available will be on an extendable 99-year leasehold. If you are interested in buying or renting a property in Al Reem Island please call us on +971 50 3031456 and we would love to assist you.